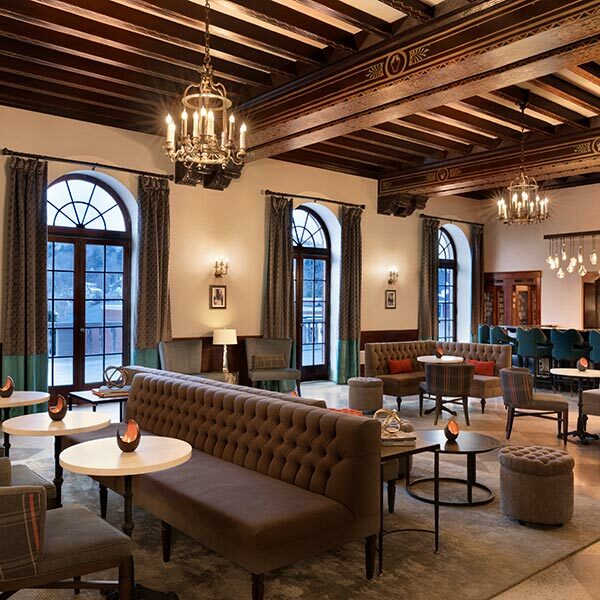 Whether it be a Negroni by the fire or a Rossini on the terrace outside, the offerings at the Great Hall Bar promise to deliver peace perfected. 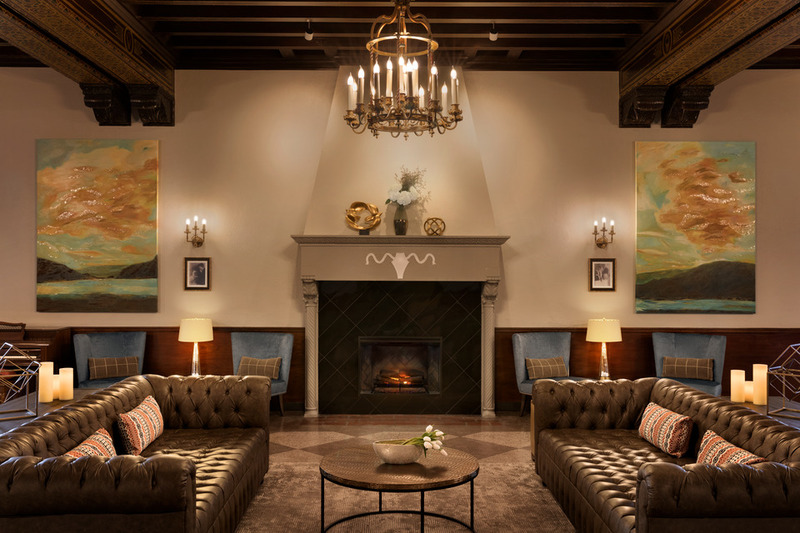 The Great Hall Bar is purposefully organized for you to find a spot that fits your moment: Talk up locals at the bar, sit with a group of friends on the series of couch clusters, catch up on email on your own, grab a few friends for an hour at the shuffleboard table, or cozy up around the central fireplace. Painstakingly restored artwork and details, plus the flexibility of the spaces, make it a quieter social setting to fit your desires. 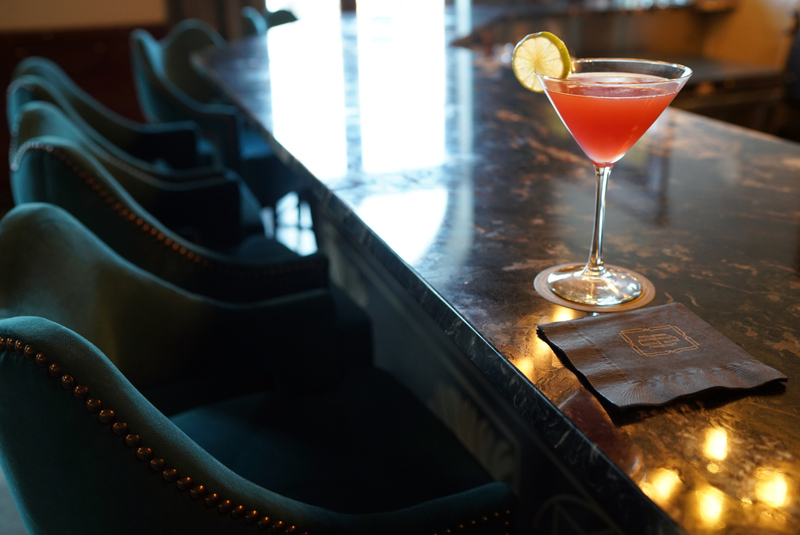 "Carefully crafted" is at the heart of every item on the drink menu - classic cocktails from the Roaring Twenties prepared with local ingredients, a rotating selection of craft beers and hard ciders, more than a dozen wines (most by the glass, too), lattes, and after-dinner drinks. Quick bites to share include fondue with bread for dipping and a great charcuterie plate to a selection of desserts worthy of asking for an extra fork. When the weather's nice, take your lunch or dinner outside. The second-story Terrace directly above Campfire offers outdoor seating and the same menu for both lunch and dinner, seven days a week.